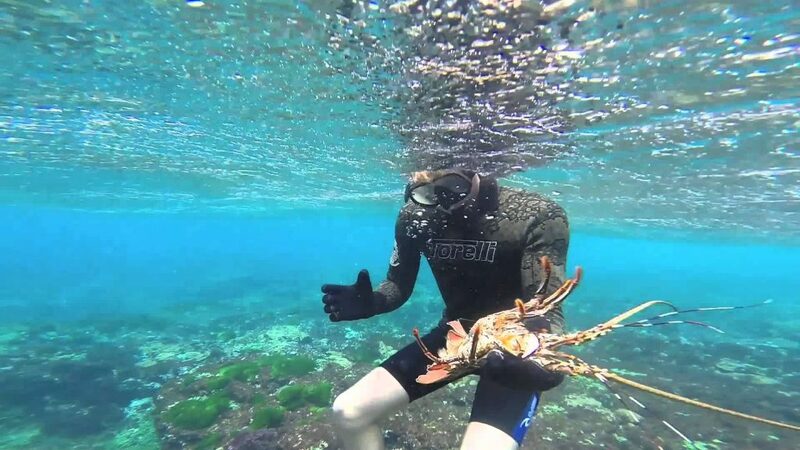 Each and every year, divers and snorkelers take to Florida waters to catch delicious lobsters. This amazing sport is shared by both the young and the old. If you have never snorkeled for lobsters, you are really missing out on some major fun and excitement. So if you want to learn how to get catch your own lobster and impress your friends, you have come to the right place. Before you hit the water, you will need to purchase a Florida saltwater fishing license and a special lobster stamp. This will allow you to snorkel for lobsters all over the state and avoid getting any costly fines. 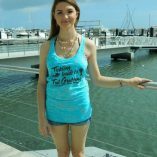 To apply for a license simply visit this state-run website http://myfwc.com/license/recreational/saltwater-fishing/. 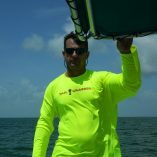 You will need some basic gear for lobster snorkeling. First, you will need a snorkel set complete with goggles and some flippers. Next, you will need to purchase what is called a lobster tickle stick that is used to drive out hiding lobsters. Then, you will need a lobster snare and a mess bag to store your catch. These simple tools are highly affordable and can all be purchased online. Once you have purchased your gear, it’s time to plan your trip. If you don’t have access to a boat, you can charter on to take you offshore. But lobster snorkeling can be easily done without a boat. Simply choose a local beach and swim out into slightly deeper water. Joining a lobster snorkeling tour is also a great way to find where these yummy creatures are hiding. Remember that spiny lobster season starts in late July and regular lobster seasons begins in August. So make sure to plan your trip around these starting dates. Now that you are ready to hit the water, look for lobsters that are hiding on the bottom. Using your lobster tickle stick, probe rock crevices, and coral. This will drive out the lobster and allow you to catch them with your snare stick. After you have secured your lobster, place it in a secure mess bag and go after some more. Remember that your daily limit in Florida is 6 per day during the regular season. According to USA Today, however, you are allowed to increase that limit during the sporting season. 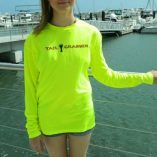 This entry was posted in Press Release and tagged apparel, dive stickers, diving, Florida, florida lobster mini season, lobster apparel, lobster clothing, lobster diving, lobster gear, lobster lovers clothes, lobstering.